Modern kitchen appliances make your daily chores more comfortable and convenient, so it’s crucial to keep them in working order all the time. If one of them starts acting up, our kitchen appliances repair Pasadena company is at your disposal. Over years, we’ve become a reputed service provider in Pasadena, California. Whether it’s your fridge, stove or dishwasher that refuses to operate the way it should, our appliance service technicians will take care of it in the most efficient manner. 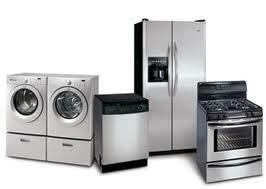 When partnering with In Town Appliance Repair Pasadena, you can expect superior service at the most affordable price. Our staff is certified to work on all makes and models available out there.No matter how complex the job is, we will complete your appliance repair according to manufacturer specifications. Fridge/freezer repair – Dealing with a faulty refrigeration appliance can be quite troublesome. From improper cooling and leaks too dd sounds, we know how to fix any issue right the first time. Electric and gas stove service – Cooking appliances require professional attention. From gas stoves to high-end electric cook tops, we are qualified to complete any appliance repair service in a single visit. Dishwasher maintenance – to avoid any issues with your dish washing machine, you should consider regular check-ups with our team. We will help you keep your appliance in top shape at all times. Microwave replacement – Whether you have a built-in or standalone model, our appliance technicians will handle the task to your absolute satisfaction. We realize that when your kitchen appliances go on the fritz, you can’t wait too long. That is why our Pasadena kitchen appliance repair pros are available for same day appointments all over the area. It doesn’t matter what’s wrong with your unit, we have the parts, tools and expertise to get it back on track within a short notice.So don’t waste your time and call us today for your home appliance repair!